Over $2.5 million raised for early childhood education in Africa. 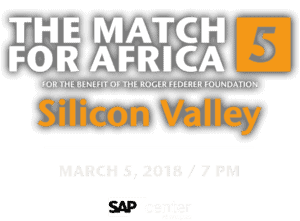 On a Monday night in San Jose, Roger Federer and friends raised over $2.5-million to support the Roger Federer Foundation’s continuing efforts to improve early childhood education in six African nations. 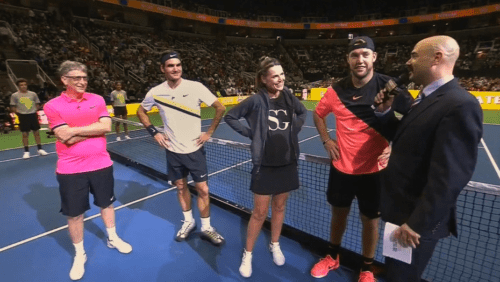 And what a special night it was – The evening opened with a celebrity doubles match featuring the team of Savannah Guthrie and Jack Sock versus the defending Match for Africa champions, Bill Gates and Roger Federer. After falling behind 0-5 in the single-set affair, Jack and Savannah put four games on the board to make it a respectable 6-4 title defense for Roger and Bill. 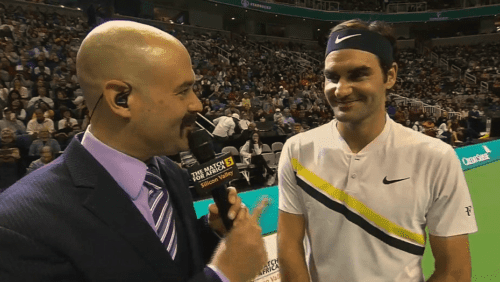 The lighthearted set was packed with hilarious moments, including several Savannah whiffs because she couldn’t take her eyes off Federer, her tennis idol. After the celebrity doubles match, Jack took the World #1 to a nailbiting 9-11 tiebreaker in the first, before falling in two: 67(9) 46. 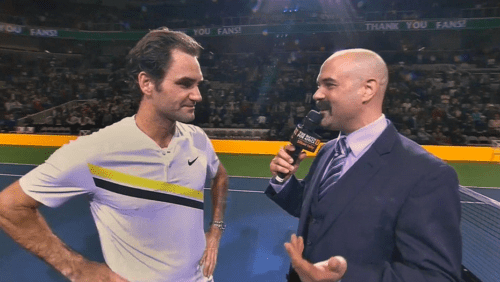 Jack and Roger were just as entertaining during the singles exhibition, both in quality of competition and interaction with fans and each other. The night was bigger than tennis. It was a celebration of sport, philanthropy and authentic global compassion. Read Roger’s own humble words, describing his Foundation’s humanitarian efforts, and his earnest philanthropic motivation.